The purpose of this study is to examine how the skills of class teacher candidates in terms of interpreting tables and graphics change according to their class levels and mathematical reasoning skills. This study has been conducted among teacher candidates studying at a state university, department of class teachers, in 1st, 2nd, and 3rd Grades. 220 teacher candidates participated in the study. Data collection tools have been used “Mathematical Reasoning Assessment Scale”, “Table Interpretation Test” and “Graphics Interpretation Test” in this study. The findings of the study showed that the mathematical reasoning skills of the teacher candidates varied meaningfully according to the class levels. There is a meaningful relation between the table interpretation and graphic interpretation performances of the teacher candidates in terms of mathematical reasoning skill levels. Abruscato, J. (2000). Teaching children science, Needham Heights, M.A: Allyn and Bacon, 37-52. Akkuş Çıkla, O. ve Duatepe, A. (2002). “İlköğretim matematik öğretmen adaylarının orantısal akıl yürütme becerileri üzerine niteliksel bir araştırma”, Hacettepe Üniversitesi Eğitim Fakütesi Dergisi, 23, 32-40. Alamolhodaei, H. (1996). A study in higher education calculus and students’ learning styles. (Phd thesis), University of Glasgow. Alkan, H., & Bukova Güzel, E. (2005). Öğretmen adaylarında matematiksel düşünmenin gelişimi. Gazi Eğitim Fakültesi Dergisi, 25(3), 221-236. Çoban, H. (2010). Öğretmen adaylarının matematiksel muhakeme becerileri ile bilişötesi öğrenme stra- tejilerini kullanma düzeyleri arasındaki ilişki (Yüksek Lisans), Gaziosmanpaşa Üniversitesi, Tokat. Demirci, N., & Uyanık, F. (2009). Onuncu sınıf öğrencilerinin grafik anlama ve yorumlamaları ile kinematik başarıları arasındaki ilişki. Necatibey Eğitim Fakültesi Elektronik Fen ve Matematik Eğitimi Dergisi (EFMED), 3(2), 22-51. Diezmann, C., & English, L. D. (2001). Developing young children’s mathematical power. Reoper Review, 24(1), 11-13. Dunham, P. H., & Osborne, A. (1991). Learning How to See: Students Graphing Difficulties. Focus on Learning Problems in Mathematics, 13(4), 35-49. Fischbein, E., & Schnarch, D. (1997). The evolution with age of probabilistic, intuitively based misconceptions. Journal for research in mathematics education, 28(1), 96-105. Fraenkel, J. R., & Wallen, N. E. (2006). How to Design and Evaluate Research in Education. Newyork:McGraw-Hill. Karasar, N. (2005). Bilimsel Araştırma Yöntemleri. Ankara: Nobel Yayınları. Kaya, D., & Keşan, C. (2014). İlköğretim seviyesindeki öğrenciler için cebirsel düşünme ve cebirsel muhakeme becerisinin önemi. International Journal of New Trends in Arts, Sports & Science Education (IJTASE), 3(2). Kramarski, B., Mevarech, Z. R., & Lieberman, A. (2001). Effects of multilevel versus unilevel metacog- nitive training on mathematical reasoning. The Journal of Educational Research, 94(5), 292-300. Liu P. H (2003), Do teachers need to incorporate the history of mathematics in their teaching? The Mathematics Teacher. Reston: Sep .Vol.96, Iss. 6; pg. 416. Martin, D. J. (2002). Elementary Science Methods a Constructivist Approach. Newyork: Delmar Publishers, 57-117. Mevarech, Z.R. ve Kramarskı, B. (1997) IMPROVE: A multidimensional method for teaching mathe- matics in heterogeneous classrooms, American Educational Research Journal, 34(2), (365-395). McKenzie, D. L., & Padilla, M. J. (1984). Effect of the laboratory activities and written simulations of the acquisition of the graphing skills by eight grade students. Paper presented at the 57th meeting of the National Association for Research in Science Teaching, New Orleans. Milli Eğitim Bakanlığı [MEB] (2009). İlköğretim Matematik Dersi (1-5. sınıflar) Öğretim Progra- mı, Talim ve Terbiye Kurulu Başkanlığı, Ankara. Milli Eğitim Bakanlığı [MEB] (2013). Ortaokul Matematik Dersi (5, 6, 7 ve 8. sınıflar) Öğretim Programı, Talim ve Terbiye Kurulu Başkanlığı, Ankara. National Council of Teachers of Mathematics (1989) .Curriculum and evaluation standards for school mathematics. Reston, Virginia. Olkun, S., & Toluk, Z. (2003). İlköğretimde Etkinlik Temelli Matematik Öğretimi. Ankara: Anı Yayıncılık. Peresini, D. & Webb, N. (1999). Analyzing Mathematical Reasoning in Students’ Responses Across Multiple Performance Assessment Tasks. Developing Mathematical Reasoning in Grades K-12/ Lee V. Stiff, 1999 Yearbook Editör, National Council of Teachers of Mathematics, Reston, Virginia. Pilten, P. (2008). Üstbiliş stratejileri öğretiminin ilköğretim beşinci sınıf öğrencilerinin matematik- sel muhakeme becerilerine etkisi. (Doktora Tezi), Gazi Üniversitesi, Ankara. Schneicer, W. & Lockl, K. (2002). The development of metacognitive knowledge in children an adolescents. In T. Perfect, B. Scwartz (Eds.). Applied Metacognition. West Nyack, NY, USA: Cambiridge University Pres. Tall, D. (1996). Functions and calculus International handbook of mathematics education (pp. 289- 325): Springer. Türk Dil Kurumu [TDK] (2014). www.tdk.gov.tr, 10.05.2014 tarihinde erişim. Umay, A. (2003). Matematiksel muhakeme yeteneği. 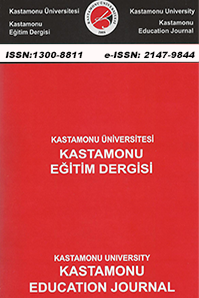 Hacettepe Üniversitesi Eğitim Fakültesi Der- gisi, 24(3), 234-243. Yackel, E. & Hanna, G. (2003). Reasoning and Proof. In J. Kilpatrick, G. Martin and D. Schifter (Ed. ), A Research Companion to Principles and Standards for School Mathematics (pp. 227- 236). Reston, VA: National Council of Teachers of Mathematics. ISNAD DÜNDAR, Sefa , YAMAN, Hakan . "Sınıf Öğretmeni Adaylarının Matematiksel Muhakeme Becerilerine Göre Tablo ve Grafikleri Yorumlama Başarılarının İncelenmesi". Kastamonu Eğitim Dergisi 23 / 4 (December 2015): 1695-1710.